Delivering sleep happiness with zero partner disturbance technology, 4-hour delivery, and a risk-free 120 night trial. Proudly Australian made & owned. Enter AFFBEDBUYERM at checkout and receive $150 off the current price of your mattress ! This coupon has been agreed by both parties, Koala & Bedbuyer. 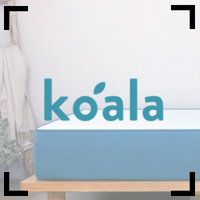 We found the Koala mattress to be a comfortable, good quality mattress that offers reasonable value for money. The top layer feels a little rubbery.